No, you cannot travel international destinations with KD 55 physically. But you can do it with your mobile, entering the Information Superhighway! 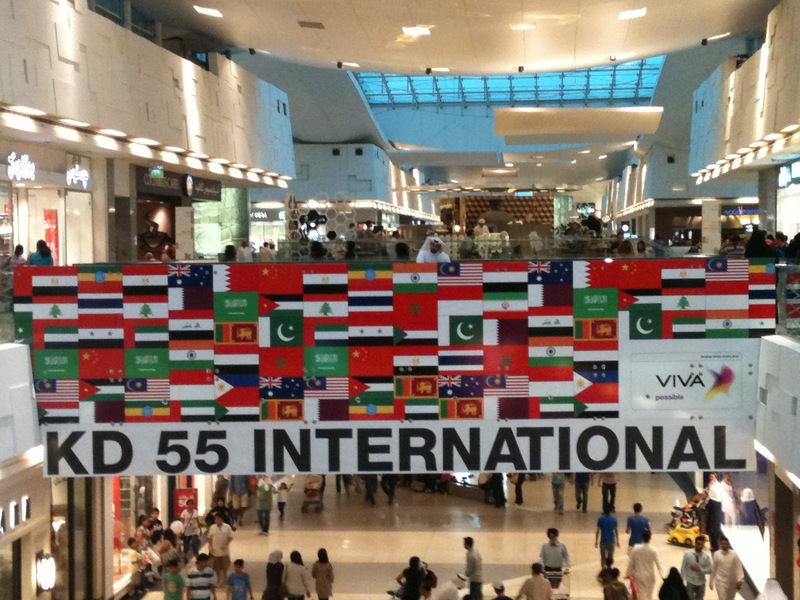 An advertisement from VIVA mobile symbolically depicting international with various country flags. On a random check, I think each country is represented thrice in this banner. Captured at Avenues Mall, Kuwait.